Expectations of motherhood: We never expected to have difficulty conceiving, and so we waited until we had everything in place before we started trying for a family. By this time we were both doing well in our careers, and had probably had more than our fair share of living like we were twenty-somethings (even though we were well into our thirties). My hopes were for a large, close-knit family. I had seen my partner Alan with our friends’ children, and knew he would make a wonderful dad. Conceiving, however, was anything but easy. It took us four years, a battery of invasive tests, four failed cycles of fertility treatment, a devastating miscarriage and numerous other disappointments. We had almost given up hope when Edward was conceived. 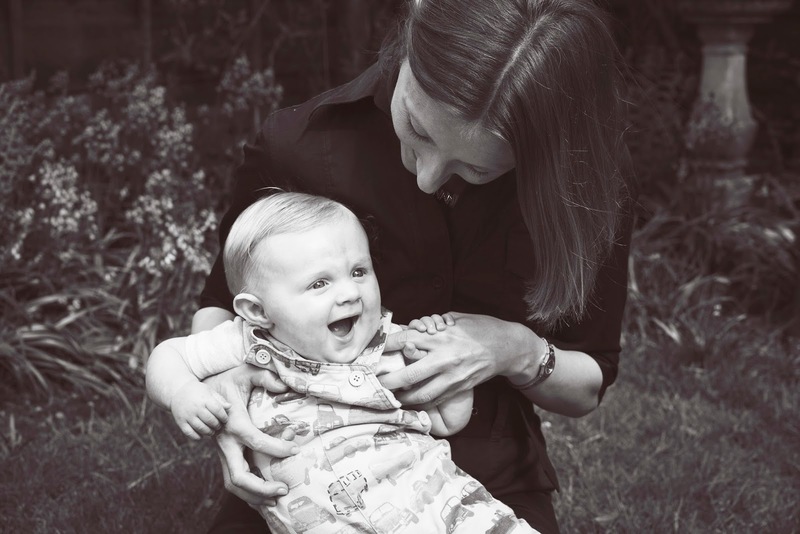 My expectations of motherhood then were very different – I dared not expect too much for fear something would go wrong, and even when it seemed as though my pregnancy was to be successful, it was impossible to see beyond the birth. Becoming a mother had become so elusive – something that would never happen to me – that I actually had no expectations other than to desperately hope that I would be able to hold a healthy baby in my arms. Reality of motherhood: It sounds obvious, but pregnancy and early motherhood have been an incredibly intense experience, both physically and emotionally. 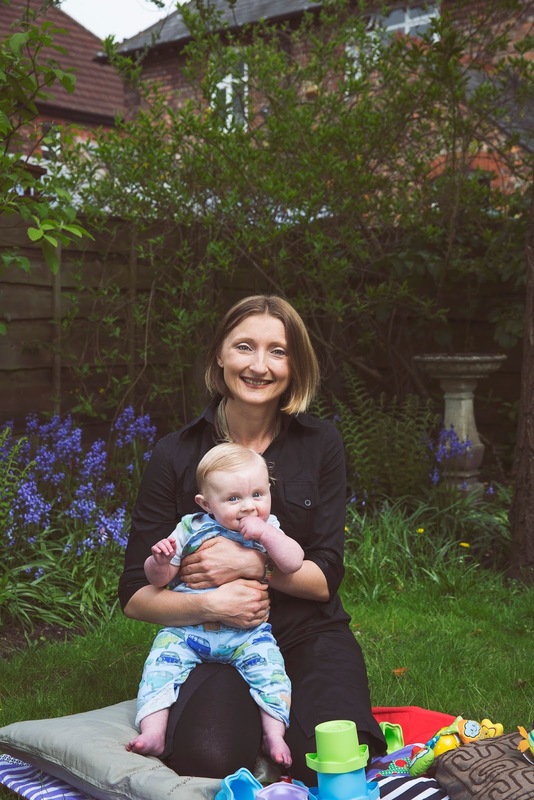 My pregnancy gave me every side effect possible – acute sickness up to week 14, digestive problems, extreme hunger, unstoppable weight gain (four stone! ), hip problems (I was unable to walk for the last two weeks of my pregnancy), bleeding gums, terribly sore feet. I could go on. It also made me feel remarkably alive, and I skipped out of bed in the morning during the second and most of the third trimesters, so utterly delighted to be pregnant. When Edward was born, I fell in love immediately. It was such an extraordinarily strong emotion, and so overwhelming at times that I spent quite a bit of the first few weeks in tears. These were tears of joy, and not the ‘baby blues’ I’d been warned about. I had, and still have, an overriding urge to be with him all the time, to make sure he feels safe and loved, and I have no doubt I would do anything – anything at all – to protect him. My priorities feel different too. My career has always been extremely important to me, and I could never really understand why some of my friends chose to be stay-at-home mums. I now understand why, and am trying to work out how I can do my job part-time. The other reality for me is that my health suffered quite considerably after Edward’s birth. I developed a terribly bad back at about week seven, and was unable to lift anything at all, including my son. Initially I was told a bad back following the birth of a child was quite normal, but it went on for so long with no improvement that eventually I was sent for an MRI scan. I was not expecting the result at all – five spinal fractures. The vertebrae had basically collapsed. A bone density scan and further tests revealed that I had developed a rare condition called pregnancy-related osteoporosis. It’s hard to explain how difficult it was to be unable to pick up or properly care for my much longed-for baby while the fractures healed, and to see other people doing things with Edward that I had expected, and longed, to do myself. 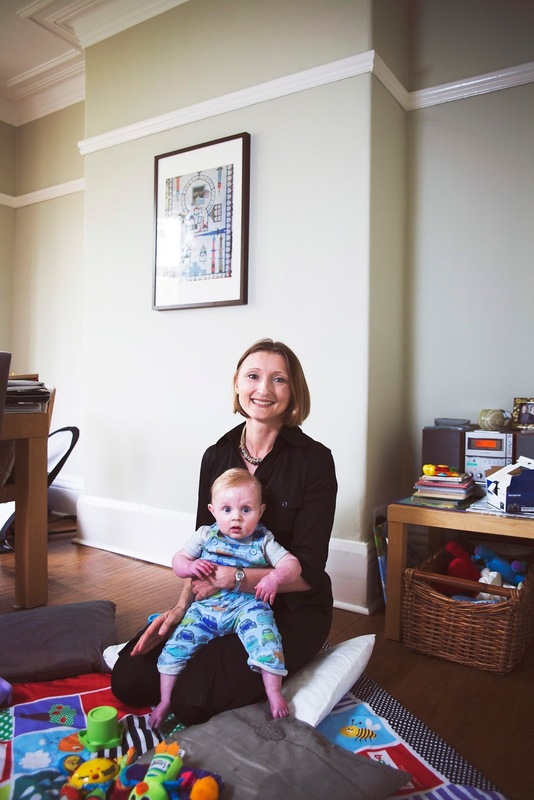 I also had to stop breastfeeding very suddenly following the diagnosis at four-and-a-half months, as I was advised this would help my recovery. This was probably the most difficult part of the whole saga, my distress partly hormonally-driven I’m sure. But Edward soon realised he could get twice the milk in half the time through a bottle (he’s not daft! ), and has thrived. And because I spent so many months unable to lift him he is not a clingy baby, and is very happy in the company of other people. Taking your child home for the first time: We spent a week in hospital following a rather long labour which culminated in a dramatic birth, and when we finally got home it felt pretty unreal – I recall being surprised actually. I took Edward from room to room so he could see his new home, and remember breaking down in the kitchen because I never thought this moment would happen. I then spent the next 24 hours convinced I was going to accidentally harm this tiny creature. If he wasn’t going to die from being too hot or too cold in his Moses basket (how many times can you check the room temperature in one night, or fret about blanket thickness? ), then I was going to probably injure him when I was changing or bathing him. I remember taking him for a hip scan when he was about three weeks old as part of a routine test to check his bone alignment because he had been born with turned-in feet, and being convinced they were going to find broken bones or other injuries. Silly I know, but he seemed so fragile to me that I felt so utterly cumbersome and clumsy when I touched him. The best/worst advice: The worst advice I had was that babies are unable to get themselves to sleep. So in the early weeks I spent hours and hours rocking Edward and pounding the streets in an effort to get him to nap. I also at one point ended up with my iPad on my pillow blasting out white noise at full volume in an effort to ‘lull’ him to sleep in the dead of night. It became some sort of torture device! Not surprisingly I became very, very tired. 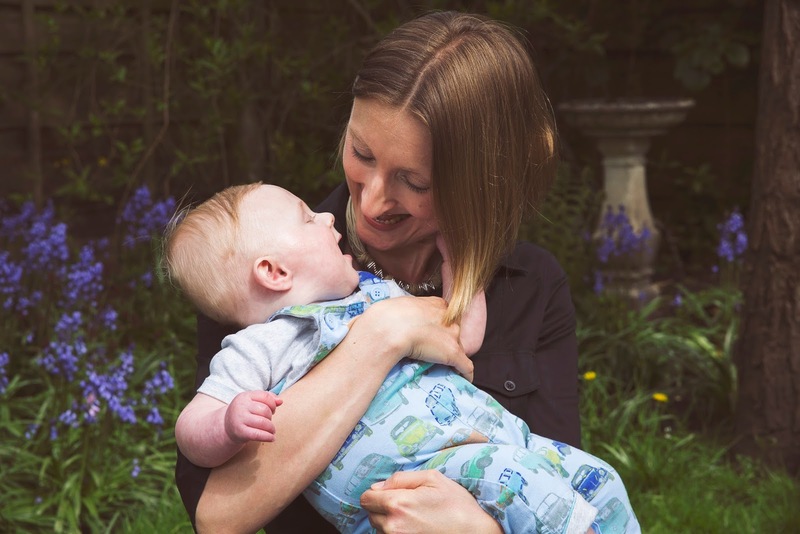 We were also told that newborn babies are rather dull, and our expectation was that Edward would probably not become ‘interesting’ until aged around six months. Not so! We have found every stage to be fascinating, and Edward has always interacted with us and given us so much back. Right from his birth we both felt a connection when he looked at us (I have a wonderful photo taken a couple of minutes after his birth where father and son are staring into each other’s eyes). And those gummy smiles of his have melted my heart since he was four-and-a-half weeks old. The best advice I had was that babies tend to need a sleep after about two hours of wakefulness. So we gave it a whirl, and started popping him into his cot after he’d been awake for two hours; most of the time he would go straight to sleep. Once I binned the books with their reams of conflicting sleeping and napping tips, life became much easier. Another piece of advice I’m so glad we followed was to not have too many visitors in the first couple of weeks. Those few weeks with Edward and Alan – just the three of us – were incredibly precious and tender. There was plenty of time to see friends and family when Alan returned to work after his paternity leave. The hardest parts of being a mother: There are numerous challenges, most of which have taken me by surprise. The constant worry that you’re doing it ‘wrong’ is one. I had heard many times that your baby “doesn’t come with a manual”, and I didn’t really understand what this meant until Edward was born. I have spent hours questioning my own judgement, and I do seem to live with the nagging fear that something I am doing is unwittingly causing him long-term damage. Another difficultly is seeing him poorly. We have been lucky so far that this has only stretched to coughs, a mild cold and a vomiting bug; I am dreading seeing him really unwell. Yet another challenge has been letting go – or trying to – and accepting other people’s help in holding him when I have been unable to. It’s excruciating having to watch someone else comfort your baby. The best parts of being a mother: The absolute, unconditional love I feel for my son. He has enriched my life immeasurably, and makes me feel glad to be alive. His huge, gummy grin first thing in the morning – so happy to see me; making him giggle uncontrollably by doing something really silly; him falling asleep in my lap when I sing to him and stroke his hair; seeing him develop more and more all the time, with each day bringing something new; and just the sheer privilege of being able to spend so much time with him and getting to know him. 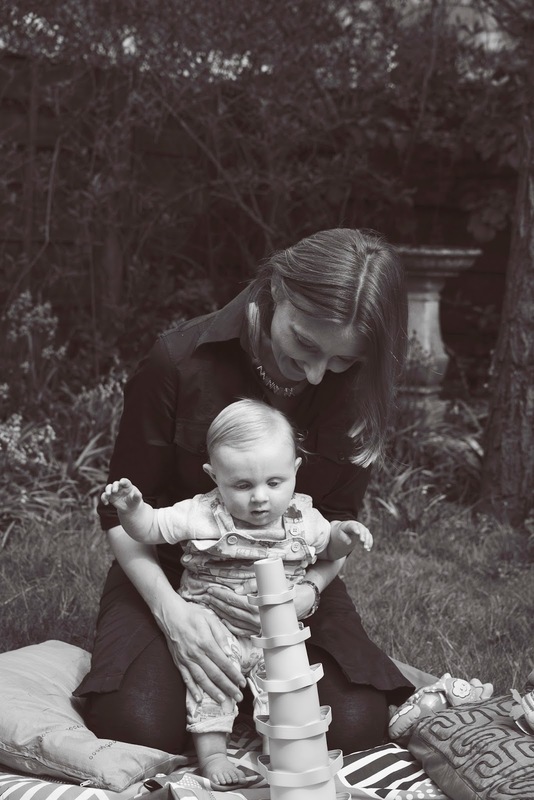 This may sound a strange thing to say as motherhood affects so many, but being a mother is probably the best kept secret ever – I never imagined how wonderful it could be until it actually happened to me. Has becoming a mother changed you? : Yes. I feel I have grown emotionally. My priorities feel different; I would do absolutely anything for my son. I also feel different with regard to my own health; being in so much pain for such a long time, and being dependant on other people, has made me realise how fragile my own health is, and how important it is to look after myself. Lastly, I now understand a part of my own parents that I didn’t before, and feel closer to them because of it. I wish my father was alive to have been able to meet Edward. He would have fallen for him too! Hopes for your family: My hopes for Edward are that he is happy and healthy, feels secure and knows he is loved, and that he is able to fulfil his potential. I would also like to have a close relationship with him, and be an important part of his life when he himself is an adult. As for other children…we always planned on having more than one, but we recognise this might not be possible, both because of my age and my health condition. We are seeing my hospital consultant next month, so will discuss the options around having a second child, and whether it is safe. If not, Edward is such a blessing that we will count ourselves very fortunate if he is our only child. We have a wide circle of friends, many of whom have babies around the same age, so I am certain he will grow up with numerous good playmates who will be as important to him as siblings. What advice would you offer to new and expectant mums: Bin the books. All their conflicting advice about routines and sleep patterns just made me anxious. The other must-do is to take part in an NCT antenatal course. The women I met have become firm friends, have kept me sane and have helped me through a pretty tough time; I’m not sure how I would have coped without them. And lastly, take as much maternity leave as you can afford. It is such a special time, and it will fly by. Enjoy it.